Can I include my partner on my student visa? A lot of people would like to include their partner on their student visa. Being able to have your partner join you on to study in Australia will mean you can stay together. It is also a lot cheaper to only pay for one person to study in Australia. 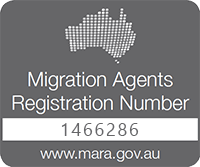 To be able to include your partner as a secondary applicant on your student visa, you must be classified as a member of the family unit of the main applicant. To be assessed as a member of the family unit you must be the spouse (husband or wife), or the de facto partner. To have your visa approved, you must demonstrate that you meet the defacto relationship for at least 12 months before the application is made. For more info on the de facto requirement can be found here. I want to include my partner to my student visa, but don’t want to jeopardize their student visa application. What happens if we apply for the visa together and immigration does not consider I meet the de factor requirement? If immigration does not consider that you and your partner do no meet the de facto requirement, then your visa application will be refused. Meaning both the main student and the secondary applicant will be refused. Can I add my partner to my student visa after my student visa has been granted? If you meet the de facto relationship, but your partner does not want to come with you initially to Australia, you can list her as your de facto partner on your student visa application, however not include them on your visa application. Your de facto partner can later submit a subsequent visa application to join you in Australia. What if I do not list my de facto partner on my student visa, can they apply for a subsequent student visa? If my partner and I have not lived together, can they be included on my student visa? Most likely not, as you do not meet the de facto requirement. If I am successfully included on my partner visa application, how many hours can I work? If your partner is studying English, Vocational or a Bachelor level course, partners can generally only work 40 hours per fortnight. If your partner is studying a Masters or Doctorate, then you generally will be able to work full time. Hello! Would you please help me estimate how much time it takes for someone holding a student visa (finishing its duration) to obtain a de facto partner visa? The main applicant is an MBA student. Hi i am from India. I am studying doctorate in australia. I am getting married soon in India. So what is process of adding my partner during my study visa as there is no defacto relationship. will i reapply for my visa? or i can add my partner to my current student visa? I have the same situation, I am from India as well. I am studying doctorate in australia. I am getting married soon in India. Please let me know the procedure to add/include spouse to my student visa. I am currently a +2 student and my class twelve is going to over soon . I have some query. Me and my partner are planning to go to Australia. My major question is will my partner also be able to study there ? I mean first of all i will go to aus on a student visa and after that i shall appeal for a dependent visa to her . And after the dependent visa will be granted and after she comes to aus will she be able to study here or not ? Please make me clear . I need your help.